Our eye care center offers a full range of eye health services to clients of all ages, from children to older adults: routine eye exams and vision tests, eye disease diagnosis and management, immediate attention for eye emergencies, and complete eye health management. The optometrists in our practice provide eyewear prescriptions and offer corrective laser eye surgery co-management as well. You may call one of our four locations to set up an appointment at your convenience and learn more about some of our key services below. Routine exams are important, regardless of your age or physical health. During a complete eye exam, your eye doctor will not only determine your prescription for eyeglasses or contact lenses, but will also check your eyes for common eye diseases, assess how your eyes work together as a team, and evaluate your eyes as an indicator of your overall health. The American Optometric Association (AOA) also recommends an annual eye exam for any adult who wears eyeglasses or contacts. If you don't normally need vision correction, you still need an eye exam every year. Doctors often recommend more frequent examinations for adults with diabetes, high blood pressure, and other disorders because many diseases can have an impact on vision and eye health. Some experts estimate that approximately 5% to 10% of pre-schoolers and 25% of school-aged children have vision problems. According to the AOA, all children should have their eyes examined at 6 months of age, at age 3, and again at the start of school. Children without vision problems or risk factors for eye or vision problems should then continue to have their eyes examined annually throughout their school years. The InfantSEE® program offers a one-time, comprehensive eye and vision assessment to babies in their first year of life, usually between the ages of 6 and 12 months, offering early detection of potential eye and vision problems at no cost regardless of income or ability to pay. Studies have shown that an overwhelming number of emergency room visits could have been treated by an optometrist. It is not always necessary to go to an emergency room for eye emergencies. Optometrists are equipped to treat the majority of eye emergencies. Please call one of our offices and we will schedule you as soon as possible. If it is during our office hours, please contact us immediately at one of our four locations for guidance. We’ll help you with the best treatment to prevent complications and promote long-lasting clear eyesight. For an after hour emergency, please call our doctor on call at 937-726-2042 for further instructions. Use your best judgment on urgency as you may find the need to go to the nearest emergency room. 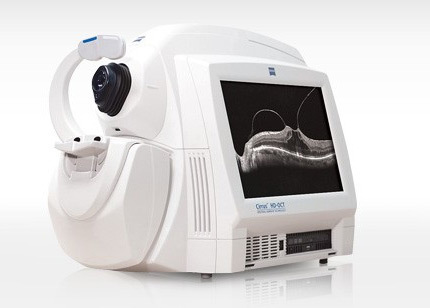 Our state of the art equipment allows us to examine the front surface of the eye and also digitally scan inside the eye to monitor for changes in your eye health and help the doctor determine a treatment plan if you are diagnosed with an eye disease. It is important to have an annual eye exam to continue monitoring your eyes for any health-related changes. 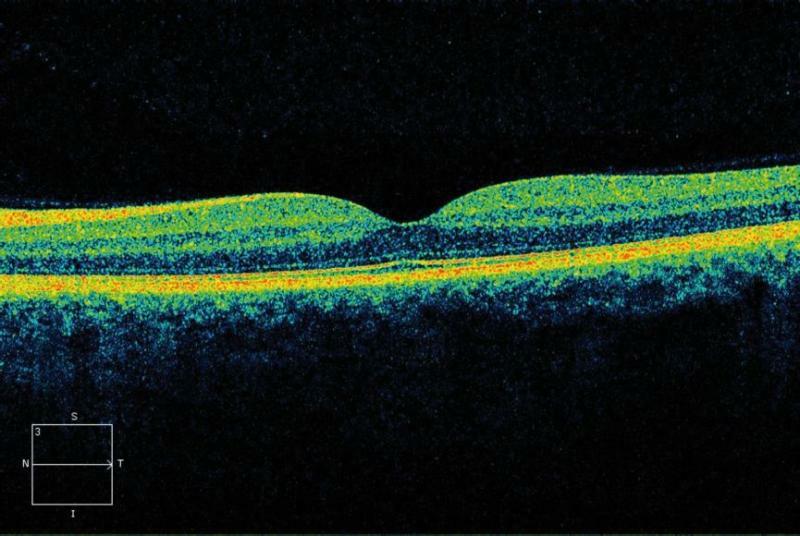 Your eye doctor may have you return more frequently if you are diagnosed with an eye disease. 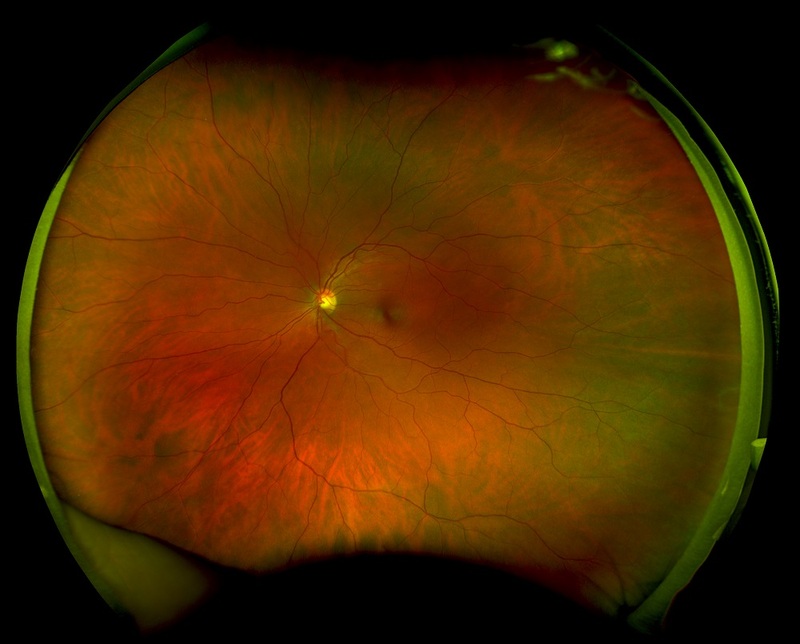 Optomap For many patients, having pupils dilated using eye drops can be a bother. But as an integral part of a truly comprehensive eye exam, those drops are highly recommended. Dilation gives your eye doctor the widest view of the internal structures at the back of the eye—the optic nerve, retina, even blood vessels. Visual Field testing is a method of measuring an individual’s central and peripheral (side) vision. 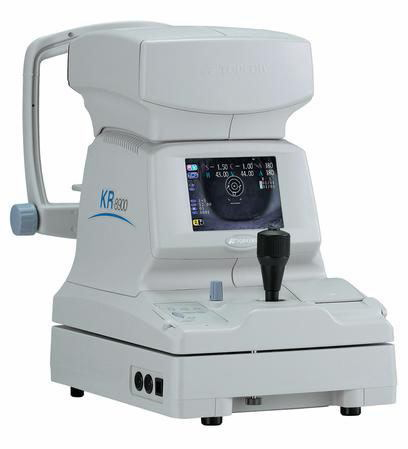 Visual field testing is most frequently used to detect any signs of glaucoma damage to the optic nerve. 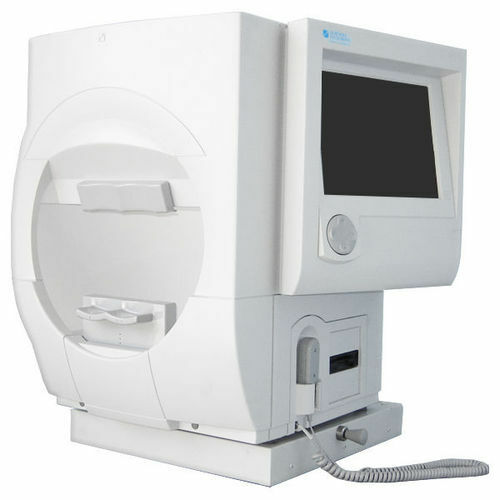 In addition, visual field tests are useful for detection of central or peripheral retinal disease, eyelid conditions such as ptosis or drooping of the eyelid, optic nerve disease, and diseases affecting the perimeter. To do the test, you sit and look inside a bowl-shaped instrument called a perimeter. While you stare at the center of the bowl, lights flash. You press a button each time you see a flash. A computer records the spot and at the end of the test, a printout shows if there are areas of your vision where you did not see the flashes of light. These are areas of vision loss. If you are diagnosed with a particular disorder or disease such as glaucoma, visual field testing will become a routine part of your treatment. 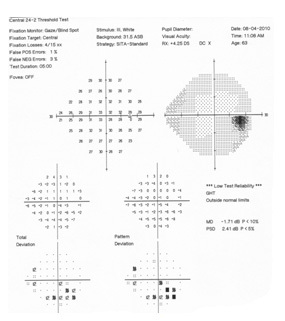 After a baseline has been established, visual field testing is repeated every 6 to 12 months to monitor for change. Visual field tests play a critical role in helping the doctor follow your condition. 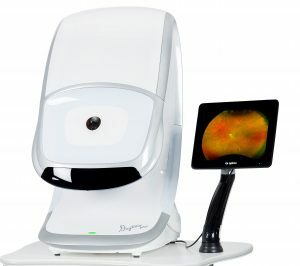 Corneal topography is a computer assisted diagnostic tool that creates a three-dimensional map of the surface curvature of the cornea. The cornea (the front window of the eye) is responsible for about 70 percent of the eye’s focusing power. An eye with normal vision has an evenly rounded cornea, but if the cornea is too flat, too steep, or unevenly curved, less than perfect vision results. The greatest advantage of corneal topography is its ability to detect irregular conditions invisible to most conventional testing. Corneal topography produces a detailed, visual description of the shape and power of the cornea. 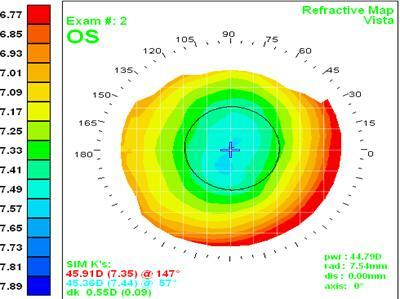 This type of analysis provides your doctor with very fine details regarding the condition of the corneal surface. These details are used to diagnose, monitor, and treat various eye conditions. They are also used in fitting specialty contact lenses.